DUBLIN (CNS) — April 10 marks the 20th anniversary of the historic Good Friday Agreement, which brought peace to Northern Ireland. 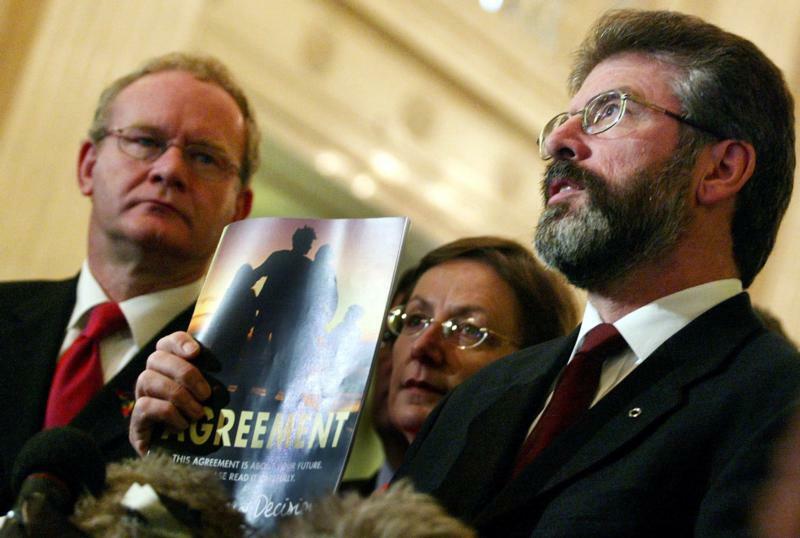 The peace deal effectively brought an end to “The Troubles,” which had cast a sectarian shadow over Northern Ireland for three decades and resulted in the deaths of more than 3,500, the majority of whom were civilians. But today, at least one Irish bishop is concerned that the United Kingdom’s decision to leave the European Union could complicate life for Ireland, north and south of the border. Despite assurances from London, Brexit has raised fears of a return to a hard border on the island of Ireland with the specter of customs posts between the Irish Republic and Northern Ireland, which is part of the United Kingdom. In some cases, farms, businesses and even some homes straddle the border, and what the future holds for them remains unclear. Britain and Ireland’s shared membership of the European Union meant Brussels became the source of much-needed funding for cross-border cooperation programs aimed at helping trade. But in the wake of the Good Friday Agreement, these programs also eased tensions between divided and alienated communities. Ireland and the U.K. are currently partners in three EU-funded cross-border cooperation programs worth about $800 million. “The Good Friday Agreement was based on the assumption that both the Republic of Ireland and the U.K. would be in the EU together,” Bishop Donal McKeown of Derry told Catholic News Service. Although the six counties of Northern Ireland are part of the United Kingdom, the Irish church is united on the island. Bishop McKeown’s own Diocese of Derry is one of three dioceses that straddle the Ireland-Northern Ireland border. The others are Armagh and Clogher, and the Diocese of Kilmore has half a parish in Northern Ireland. “We already have to deal with two currencies, two legal jurisdictions, and two education systems,” Bishop McKeown explained. “A hard customs border will be hugely damaging to businesses on both sides of the border, where unhampered travel currently is taken as normal,” the bishop said. He recalled how 100 years ago, before the partition of Ireland, Belfast was the third industrial city of the U.K. “After partition, Belfast and Northern Ireland gradually became a backwater. Because Northern Ireland is so small, it needs to be part of an all-Ireland economy,” he suggested. He said the Irish government was determined to ensure that the agreement, which “removed barriers and borders — both physically, on the island of Ireland; and emotionally, between communities in Ireland and between our two islands,” would not suffer because of Brexit.